Where's my Big Oil cheque? Which puts Big Oil in the shade. It’s a nice cosy arrangement isn’t it? The Labor government hands out millions of dollars to environmental activist groups so they can spread misinformation and propaganda about Labor’s climate change and carbon tax policies. All the usual suspects are represented, the Climate Institute, the Australian Conservation Foundation, the Australian Youth Climate Coalition, all paid for by your taxes. LABOR has handed $3 million in grants to supporters of climate change action to promote efforts to cut global warming and support the government’s clean energy package as it seeks to head off Tony Abbott’s anti-carbon tax campaign. A Senate estimates committee hearing has also been told the Gillard government’s multi-million dollar carbon tax advertising campaign has reached almost $24 million, after a $4 million blow-out. The almost $24 million in advertising includes $16 million on carbon tax advertising – up from $12 million – $3.9 million on developing the ad campaign and $4 million on household leaflets. 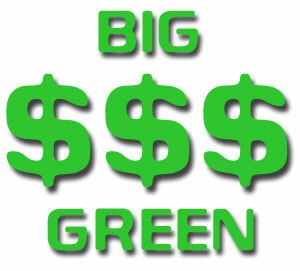 Details also emerged about a series of ad-hoc grants to green groups. The groups benefiting from grants included the Climate Institute, the Australian Conservation Foundation and Climate Works Australia. Some of the groups have been part of the “say yes” coalition and have backed Labor’s package to fight off the Opposition’s campaign against the policy. It’s always the sceptics that are accused of being the highly organised, well-funded denial machine, paid for by Big Oil, when in reality the pay cheques of Big Green are far, far larger. And with so much taxpayer money being wasted on distorting the message, no wonder Julia and Greg believe the debate’s over! I wonder if their children will hate them as much as these Political Horse hate us. Greens have become more red than green. You should put in for a grant Simon. Surly your perspective is equally as valid? I guess you just have to survive on selling a few mugs and teashirts. Greens. What a joke! Fail. What a easy/simple way to get lost of $$$$$ – just start your own “society”andf apply for a grant. Perhaps we should all give it a try. Still hasn’t arrived? Must be some sort of delay in the post. See you at the BO Christmas party. Do the Climate Youth wear Brown’s shirts? If Anne Frank had a candle and a fireplace she wouldn’t last a month against this cryptoecotheocracy.